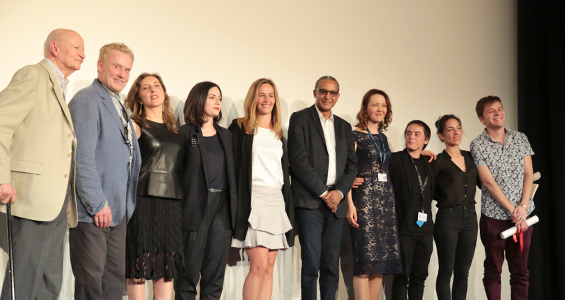 The Cinéfondation and Short Films Jury headed by Abderrahmane Sissako and including Cécile de France, Joana Hadjithomas, Daniel Olbrychski and Rebecca Zlotowski, has awarded the 2015 Cinéfondation Prizes during a ceremony held in the Buñuel Theatre, followed by the screening of the winning films. The Cinéfondation Selection consisted of 18 student films, chosen out of 1 593 entries coming from 381 film schools around the world. The awarded films will receive €15,000 for the First Prize, €11,250 for the Second and €7,500 for the Third. The First Prize winner is also guaranteed that her first feature film will be presented at the Festival de Cannes.